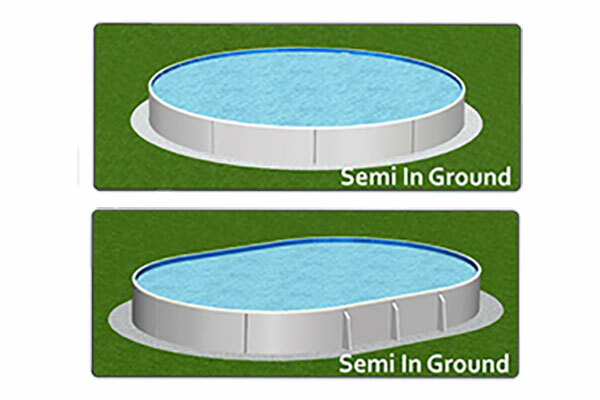 A semi-inground pool is an above ground pool that can sit entirely above ground, sink halfway or be entirely submerged. While the pool is a literal halfway point between inground and aboveground, it’s also growing in popularity. The market for this pool consists of people who are willing to spend a little more money than the cost of a traditional above ground, but don’t have quite enough to invest in an inground pool. 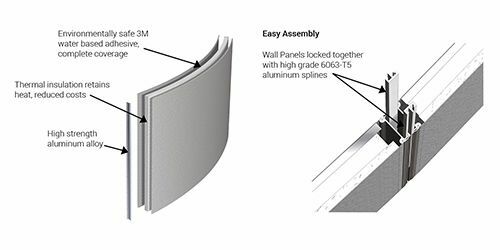 A semi-inground pool is an affordable alternative to a traditional inground pool and it is easier to install. It is also is a good choice if you have strict homeowner association rules about height. It features the same round or oval shape options that an above ground pool does. If you want your pool to blend more harmoniously with your landscape than a typical above ground pool, a semi-inground is a great choice. The semi-inground pool requires less digging, dealing with utility lines, tree roots, etc. In addition, sinking a semi-inground pool several feet below the ground often makes it easier to manage pipes and pumps. 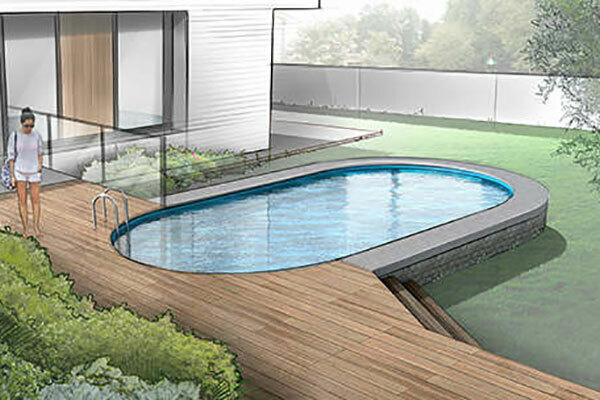 A homeowner has a great deal of versatility with creating their deck as opposed to a traditional above ground pool.